It might be your wedding day, but the experience you have with your guests is what makes it so memorable. You want them to feel welcome, you want them to dance, and you want them to leave thinking they had the time of their lives. When it comes to deciding on a DJ, don’t trust your most important day to an amateur. 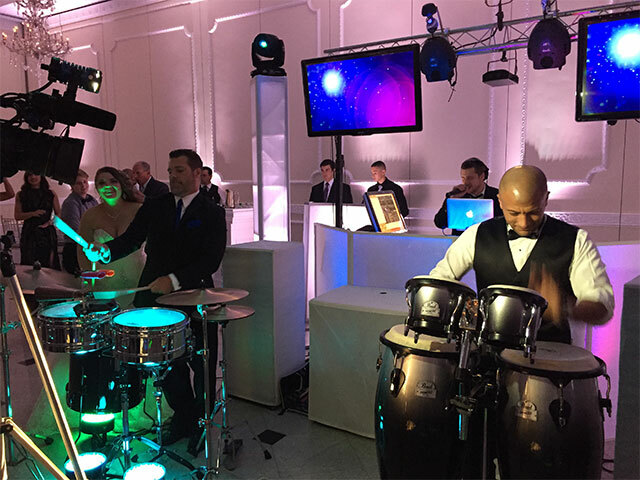 With clients ranging from Howard Stern to Facebook, 1-800-Jam-Music’s unique style of DJing is guaranteed to have you and your guests dancing from the first song to the last. Your relationship with 1-800-Jam-Music starts with an initial consultation in order to meet and identify all of your Wedding DJ needs. 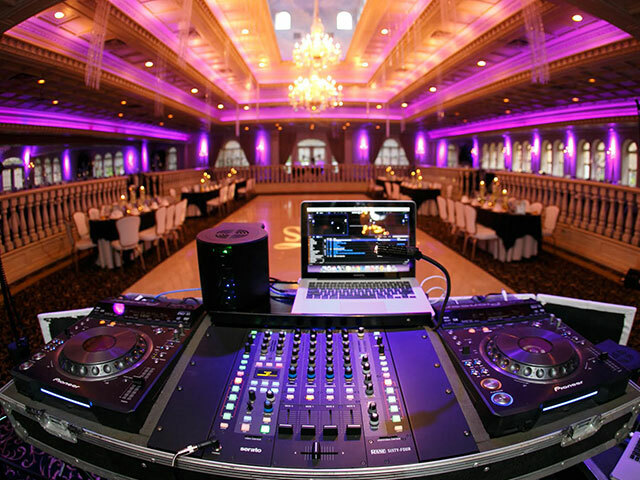 Once we know exactly what you need, we’ll pair you with the perfect DJ for your event. We know it’s important that you feel comfortable and confident about working with your DJ, so we can provide plenty of demo videos of past events to show you his or her style. We can also arrange for you to meet your Wedding DJ to make sure you feel like it’s the best match for you and your guests. Need help picking out your Wedding Tradition Songs (such as your Introduction Song, First Dance Song and Parent Dance Songs)? No problem, we’re more than happy to make suggestions. Whether you have a question, need something custom, or just want to go over some details, we’re just a phone call away 24/7. If you want something truly one-of-a-kind, 1-800-Jam-Music’s DJs are accomplished remixers who can help you make that perfect Mash-Up for a small fee. 1-800-Jam-Music prepares all of your details, including your entrance music, special dance songs, and more as far as one month in advance to ensure nothing is overlooked. Every piece of equipment is checked and double checked - not only to ensure it is in perfect working order, but also that it is loaded on the truck the day-of and ready to provide a seamless setup for every service that you ordered for your wedding. Equipment 1-800-Jam-Music’s DJs know how important it is to have top-of-the-line equipment. Our staff only trusts your big day to commercial-grade expert brands such as Pioneer, Technics, QSC, dbx, JBL, Yorkville, RCF, Apple, Serato, and Rane. We are committed to using equipment that has been proven to perform only at the highest audio quality. We routinely service all of our gear as well as upgrade to the newest generation of Pro Audio Equipment regularly. Despite our best efforts in quality control, every expert knows nothing is guaranteed. Anything can go wrong during a live set. That’s why preparation is key in these once-in-a-lifetime situations. You can rest assured that 1-800-Jam-Music has back-ups of the most commonly failed pieces of equipment ON-SITE. In the event of a technical problem, our DJs are fully prepared to swap out the failed gear with a replacement - without anyone noticing. From something as small as an RCA cable to something as major as a MacBook Pro, 1-800-Jam-Music has an on-site backup. 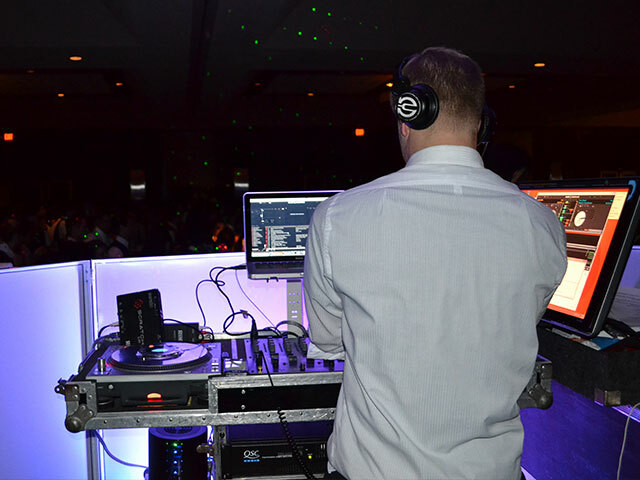 Even if you choose not to book an MC for your event, our professional DJs have the skills necessary to run the show for your Bridal Party introductions. With all of our preparation, your chosen songs will be on cue and played exactly as planned when you and your Bridal Party make your Grand Entrance. As this moment winds down, your DJ will invite you & your partner to the center of the dance floor for your first dance, followed by your parent dances. Our professionals will make sure that every light & effect you booked goes off without a hitch during these crucial moments of your event. When someone wants to say a few words, you want the whole room to listen. The right microphone and PA system will be in place for your guests to hear the toasts and speeches given by your loved ones, no matter how large or crowded your room might be. 1-800-Jam-Music uses microphone brands such as Shure, Sennheiser, Audio-Technica, and Line 6 to ensure you and all of your guests hear every word clearly. 1-800-Jam-Music DJs know how to let the music speak for itself. Playing the right song at the right time is the most important key to a successful dance party. Our DJs know how to mix the music to keep your guests on the dancefloor - no cheesy gimmicks needed. They are experts at reading the crowd and creating just the right atmosphere from the moment your guests walk into the Main Ballroom. While guests are eating, the music is lowered enough so they can converse and enjoy their food. When it’s party time, our 10,000 Watts of High-Fidelity audio will fill the room with crystal-clear music. Our DJs will truly take you and your guests on a musical journey that will keep everyone dancing until the end of the night and leave them wanting more! Your Wedding DJ will utilize every minute by mixing music live on the spot to keep your guests on beat and to play each song for the just right amount of time - not too long, not too short. Our music collection is expanded daily and currently spans over 200,000 tracks - and our DJs know how to play them!